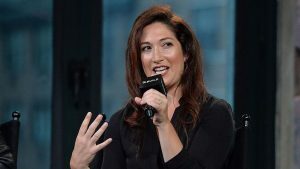 Randi Zuckerberg said she was the subject of lewd sexual remarks by a man who was seated beside her during an Alaska Airlines flight. She said the flight attendants had been aware of the pattern of inappropriate conduct the man was carrying out, but brushed his behavior off. Zuckerberg is an entrepreneur in Silicon Valley and Mark Zuckerberg’s sister. He founded Facebook. She took to social media on Wednesday sharing an email she had sent to Alaska Airlines following her unpleasant flight. Alaska Airlines answered Zuckerberg’s email through Twitter saying the allegations had been very disturbing and it was carrying out an investigation. The email Zuckerberg sent outlined sexual remarks allegedly made by the man who had been seated in first class next to her. The remarks included rating of women’s bodies that were on the flight, comments about the man touching himself, and complaints that women who are millennials are not willing to give booty to get work any longer. Zuckerberg told one of the flight attendants about her discomfort with the behavior of the man sitting next to her. However, Zuckerberg said the flight attendant said he was one of the airline’s frequent fliers and brushed his behavior off, while continuing to give the man drinks. She added that the flight attendant gave her the option to move to another seat near the back of the aircraft, but she refused because her opinion was she should not give her seat up when she was being harassed. Zuckerberg said that she learned the comments were not unusual and the flight attendants have had previous talks with the man about how he behaves. She said the flight attendants told her not to take it personally since the man does not have a filter. The man, according to Zuckerberg continued making sexual comments the entire flight. The airline tweeted that it launched its own investigation and revoked the man’s travel privileges pending the investigation’s outcome. The airline said what Zuckerberg shared had been disturbing and wished to discuss the situation further with her and requested a way they could connect with her Wednesday night. An Alaskan Airline spokesperson said the airline has a zero tolerance policy for any form of sexual misconduct that festers an unsafe environment for passengers and crew. Zuckerberg said via Twitter she felt compelled to explain her story despite the embarrassment, to highlight the behavior of the man.